The Turbaned Tornado Retires At Age 101. Fauja Singh aka The Turbaned Tornado is one of my favorite people ever. The famous 101 year old marathon runner has decided that after almost 13 years of running marathons, he is retiring from the sport. He will not be retiring from running, he just wishes to take his daily runs down to a more sane distance of 8-9 miles per day. 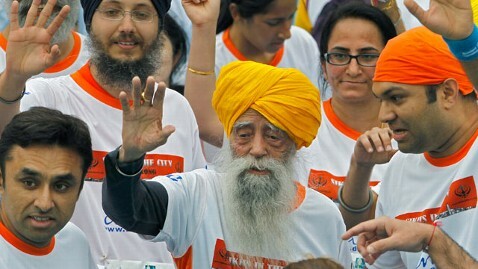 After completing his last marathon over the weekend in Hong Kong, Mr. Singh was quoted saying that he ‘felt so fresh, so good and so full of power (today).’ And have no fear, The Turban Tornado is not retiring on a down note, he actually ran a faster time in his last marathon this year then he did in the same marathon last year. He managed to shave 30 seconds off his mile time, coming in at just under 15 minutes per mile this year. Since he will no longer be in the news for his amazing marathon accomplishments, Mr. Singh hopes the public will not forget about him. I am sure this will not happen, his legend will live on. If you care to read about his life and how he came to be a marathon runner at age 89, click on the link to his Facebook page below and buy his book. I am sure it will be worth it. All I can really say is, Mr. Singh, you will NEVER be forgotten. You are the truth!!! You are what so many people aspire to be, healthy, active and happy And you manage to do it all over the age of 100!!! 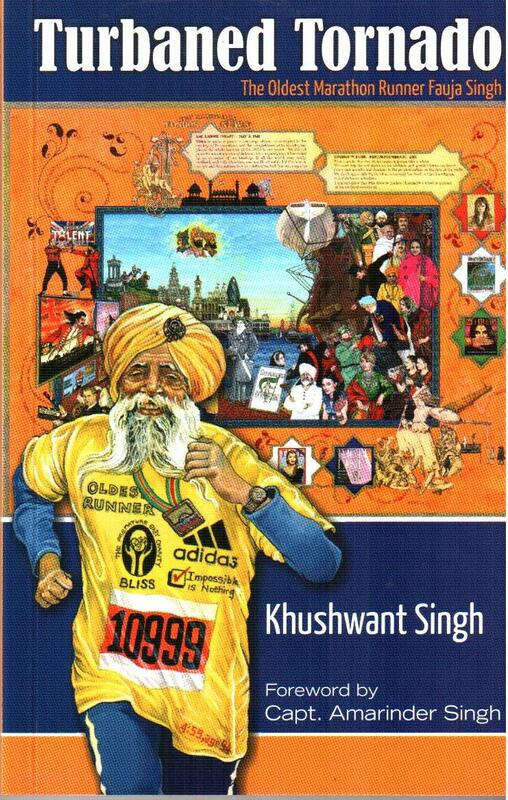 http://www.facebook.com/pages/Fauja-Singh-Turbaned-Tornado/124185080997906 Like His Facebook Page And Buy His Book!! !